What Type of Psychologists Are There? What Education & Training Do You Need To Become A Psychologist? Please note that the information covered in this section relates to the study and practice of psychology in the United States. Anybody interested in the study and practice of psychology outside the USA should make their national psychology association or society a first port of call for information, advice and guidance. With this in mind, the following link will take you to the Psychology Association Directory, which is organized alphabetically by country and provides a link to the psychology association website homepage if available. Psychologists study mental processes and human behavior by observing, interpreting, and recording how people and other animals relate to one another and the environment. To do this, they will often look for patterns that will help them understand and predict behavior using scientific methods, principles, or procedures to test their ideas. Through such research studies, psychologists have learned much that can help increase understanding between individuals, groups, organizations, institutions, nations, and cultures. Like other social scientists, they formulate theories, or hypotheses, which are possible explanations for what they observe. But unlike other social science disciplines, they often concentrate on individual behavior and, specifically, in the beliefs and feelings that influence a person’s actions. Research methods vary with the topic which they study, but by and large, the chief techniques used are observation, assessment, and experimentation. 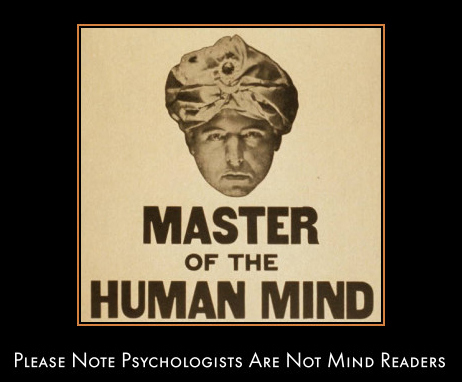 Psychologists sometimes gather information and evaluate behavior through controlled laboratory experiments, hypnosis, biofeedback, psychoanalysis, or psychotherapy, or by administering personality, performance, aptitude, or intelligence tests. Other methods include interviews, questionnaires, clinical studies, surveys, and observation—looking for cause-and-effect relationships between events and for broad patterns of behavior. Research in psychology seeks to understand and explain thought, emotion, feelings, or behavior. The research findings of psychologists have greatly increased our understanding of why people and animals behave as they do. For example, they have discovered how personality develops and how to promote healthy development. They have gained knowledge of how to diagnose and treat alcoholism and substance abuse, how to help people change bad habits and conduct, and how to help students learn. They understand the conditions that can make workers more productive. Insights provided by psychologists can help people function better as individuals, friends, family members, and workers. They may perform a variety of duties in a vast number of industries. For example, those working in health service fields may provide mental healthcare in hospitals, clinics, schools, or private settings. Psychologists employed in applied settings, such as business, industry, government, or nonprofit organizations, may provide training, conduct research, design organizational systems, and act as advocates for psychology. They apply their knowledge to a wide range of endeavors, including health and human services, management, education, law, and sports. They usually specialize in one of many different areas. Clinical Psych's - who constitute the largest specialty - are concerned with the assessment, diagnosis, treatment, and prevention of mental disorders. While some clinical-psychologists specialize in treating severe psychological disorders, such as schizophrenia and depression, many others may help people deal with personal issues, such as divorce or the death of a loved one. Often times, they provide an opportunity to talk and think about things that are confusing or worrying, offering different ways of interpreting and understanding problems and situations. They are trained to use a variety of approaches aimed at helping individuals, and the strategies used are generally determined by the specialty they work in. Clinical psych's often interview patients and give diagnostic tests in their own private offices. They may provide individual, family, or group psychotherapy and may design and implement behavior modification programs. Some clinical psych's work in hospitals where they collaborate with physicians and other specialists to develop and implement treatment and intervention programs that patients can understand and comply with. Other clinical psych's work in universities and medical schools, where they train graduate students in the delivery of mental health and behavioral medicine services. A few work in physical rehabilitation settings, treating patients with spinal cord injuries, chronic pain or illness, stroke, arthritis, or neurological conditions. Others may work in community mental health centers, crisis counseling services, or drug rehabilitation centers, offering evaluation, therapy, remediation, and consultation. Areas of specialization within clinical psychology include health psychology, neuropsychology, geropsychology, and child psychology. Health psychologists study how biological, psychological, and social factors affect health and illness. They promote healthy living and disease prevention through counseling, and they focus on how patients adjust to illnesses and treatments and view their quality of life. Neuropsychologists study the relation between the brain and behavior. They often work in stroke and head injury programs. Geropsychologists deal with the special problems faced by the elderly. Work may include helping older persons cope with stresses that are common in late life, such as loss of loved ones, relocation, medical conditions, and increased care-giving demands. Clinical psych's may further specialize in these fields by focusing their work in a number of niche areas including mental health, learning disabilities, emotional disturbances, or substance abuse. The emergence and growth of these, and other, specialties reflects the increasing participation of psychologists in direct services to special patient populations. Often, clinical psych's consult with other medical personnel regarding the best treatment for patients, especially treatment that includes medication. Clinical-psychologists generally are not permitted to prescribe medication to treat patients; only psychiatrists and other medical doctors may prescribe most medications. (See the statement on physicians and surgeons elsewhere in the Handbook.) However, two States - Louisiana and New Mexico - currently allow appropriately trained clinical psychologists to prescribe medication with some limitations. School psych's work with students in early childhood and elementary and secondary schools. They collaborate with teachers, parents, and school personnel to create safe, healthy, and supportive learning environments for all students. School- psychologists address students' learning and behavioral problems, suggest improvements to classroom management strategies or parenting techniques, and evaluate students with disabilities and gifted and talented students to help determine the best way to educate them. Industrial-Organizational Psychologists apply psychological principles and research methods to the workplace in the interest of improving the quality of worklife. They also are involved in research on management and marketing problems. 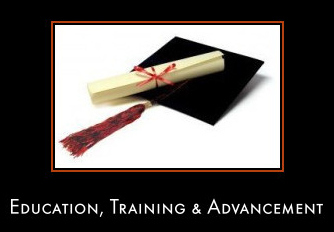 They screen, train, and counsel applicants for jobs, as well as perform organizational development and analysis. An industrial-psychologist might work with management to reorganize the work setting in order to enhance productivity. Industrial- psychologists frequently act as consultants, brought in by management to solve a particular problem. 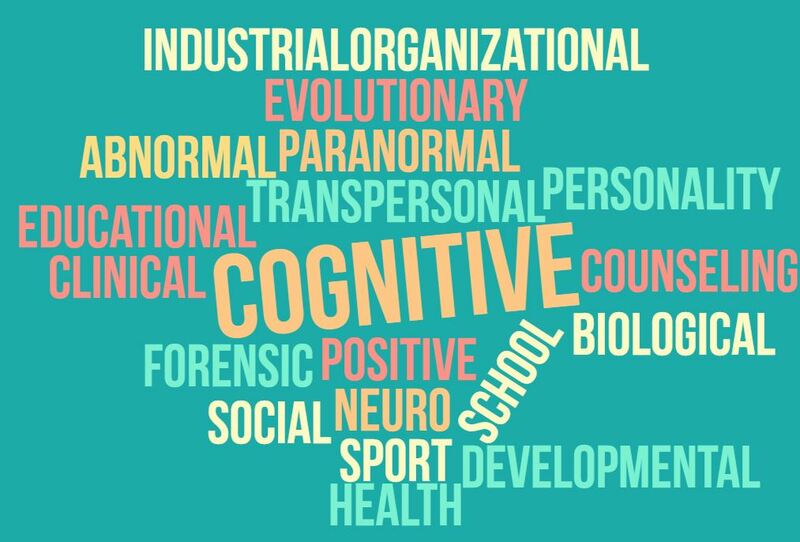 Developmental-Psychologists study the physiological, cognitive, and social development that takes place throughout life. Some specialize in behavior during infancy, childhood, and adolescence, or changes that occur during maturity or old age. Developmental-psychologists also may study developmental disabilities and their effects. Increasingly, research is developing ways to help elderly people remain independent as long as possible. Social-Psychologists examine people's interactions with others and with the social environment. They work in organizational consultation, marketing research, systems design, or other applied psychology fields. Many social-psychologists specialize in a niche area, such as group behavior, leadership, attitudes, and perception. Experimental or Research-Psychologists work in university and private research centers and in business, nonprofit, and governmental organizations. They study the behavior of both human beings and animals, such as rats, monkeys, and pigeons. Prominent areas of study in experimental research include motivation, thought, attention, learning and memory, sensory and perceptual processes, effects of substance abuse, and genetic and neurological factors affecting behavior. Forensic-Psychologists use psychological principles in the legal and criminal justice system to help judges, attorneys, and other legal professionals understand the psychological findings of a particular case. They are usually designated as an expert witness and typically specialize in one of three areas: family court, civil court, and criminal court. Forensic-psychologists who work in family court may offer psychotherapy services, perform child custody evaluations, or investigate reports of child abuse. Those working in civil courts may assess competency, provide second opinions, and provide psychotherapy to crime victims. Criminal court forensic-psychologists often conduct evaluations of mental competency, work with child witnesses, and provide assessment of juvenile or adult offenders. See following link for detailed information on different types of psychology. You can access the Psychologist Education & Training Information Guide via the following link. 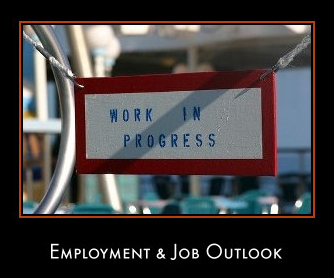 You can access the Psychologist Employment & Job Outlook Information Guide via the following link. 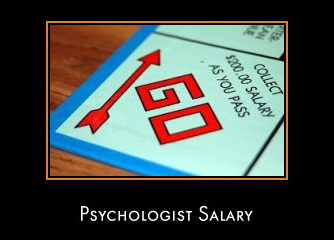 You can access the Psychologist Salary Guide via the following link. The primary aim of this book is to provide strategies for success that will allow students to achieve their career goals, whatever they may be. 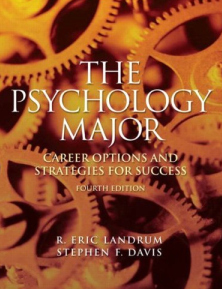 The authors provide fundamental tips and advice that can be useful to all students, but especially useful for psychology majors. This text standardizes and catalogs much of the practical advice that professors often give to students - providing tips on how to do well in all classes, how to find research ideas, and how to write papers in APA format. Also, the book contains up-to-date career information that faculty might not normally have at their fingertips, including the latest salary figures for a number of psychology-related jobs and occupations. Other benefits include the coverage of ethics for undergraduate students, sections on self-reflection, and an overview of disciplines related to psychology.